« DARKBLACK – Announce New EP “Midnight Wraith” And December West Coast Assault! VALDUR – From Mammoth Lakes, California, VALDUR unleashes upon the world… Raven God Amongst Us. A self financed, full length album of Blackened might, Raven God Amongst Us has been released on drummer Sxuperion’s very own Bloody Mountain Records. All nine songs on this formidable album, create a steady flow of darkened melodies that lay within the layers of cataclysmic guitar leads, phrenetic drums, earth trembling bass and vocals that gather electrifying steam, with each passing second. It’s the overall apocalyptic vibe of no turning back, that engages the senses on Raven God Amongst Us. Taking into account, the back to back songs of Past Of Wolves and Vicious Existence, it is the plummeting and spiraling Blackened atmosphere of falling into the unknown abyss of something uncannily dark. VALDUR presents their Black Metal in a raw state of serrated lined appeal… one could not expect Black Metal to suddenly open up and reveal harmonious chorus over syrupy keyboards. 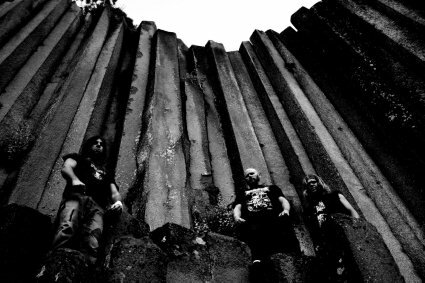 VALDUR is making a statement by realizing a Black Metal foundation is built on key Black Metal fundamentals, a vastly dark atmosphere that tantalizes on the embraceable bizarre, rawness and everything else… Blackened. Traditional lyrical content, coupled with a luring and engaging sound of Black Metal in it’s most anti-mainstream existence, is amassed within and outside the walls of dark sound as each song plays through on this album. This album mirrors the storm clouds that are about to swallow up a sun-lit sky, it’s the impending winter storm that science could not fathom. 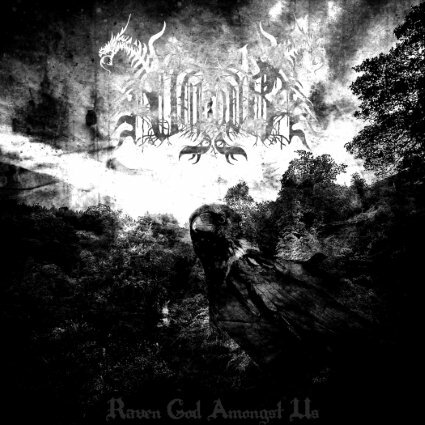 Commercialized darkness and Blackness can take a back seat to what VALDUR is creating here… this is underground, this is Black Metal… this is VALDUR and their creation they have named: Raven God Amongst Us. This entry was posted on November 18, 2010 at 9:01 am and is filed under Black Metal, black metal albums, Extreme Metal, extreme music, Heavy Metal, heavy metal albums, metal music, metal odyssey, Music, rock music with tags Black Metal, black metal albums, extreme metal music, heavy metal music, metal music, metal odyssey, raven god amongst us album review, valdur. You can follow any responses to this entry through the RSS 2.0 feed. You can leave a response, or trackback from your own site.